I had never heard of PoundToy before, but my sister in law had worked with them and I was keen to get involved so was excited when they agreed to work with me. There’s a huge selection to choose from, not all at £1 but they have a large selection of goodies to choose from for all ages so you’ll be sure to find something you need. I was given £50 to spend online, I picked gifts that I could give for Christmas or Birthday to family members. There was plenty of branded and character related items such as playdoh and Graphix kits to choose, and the other non-branded stuff was perfect too. 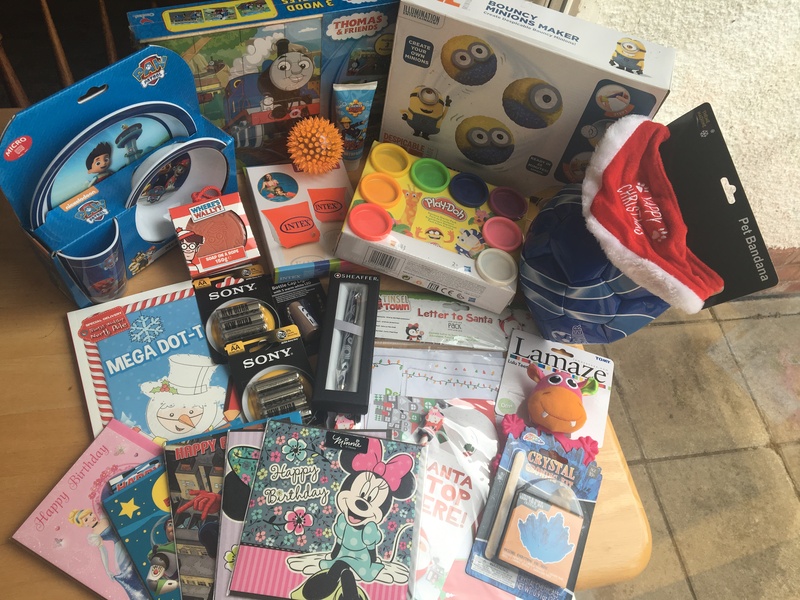 I went for a variety of things for Christmas and stocking fillers for my nephew and little boy plus stock items. I struggled to work out what I wanted as there was so much to choose from, and with having nephews that are ages 4 – 11 and a little boy who’s 14 months so some was either too young or too old. The website was really easy to navigate and the use of categories and filters made it easier to narrow down the search. I liked being able to go to the most popular department and then filtering by price from low to high. This worked well and helped me find the most toys for my money. I would recommend using Pound Toys if you are looking for stocking fillers or presents for kid party’s, great value for money.